September | 2014 | What Does This Button Do? Stepping away from tech for a bit, I tested out two fountain pens: a cheap $25 Lamy and a $125 Delta. Cynics will dismiss using a fountain pen these days as a needless hipsterism, a tacky bit of retro nostalgia that serves no real purpose. I disagree. A good fountain pen is a piece of precision engineering and design, and will serve you well for many years. 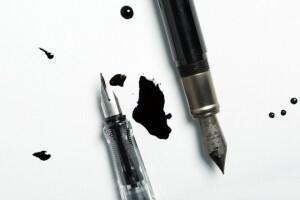 Using a fountain pen is about making a deliberate choice to buy something that you can use repeatedly, rather than something you use once and loose. If you want to write casually, get a Bic disposable and throw it away when you’re done. But if you want to have something that looks cool and is a pleasure to use, get a fountain pen. For Wired I reviewed the FLiR One Infra-Red camera, which fits onto the iPhone 5. I Can Haz Lolcat Tips? I assisted one of my cats in writing an article about how to take better lolcat photos. Listen up, humans. 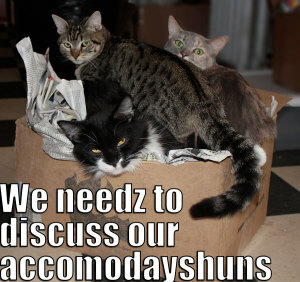 Us felines are sick of being mocked with the things you call LOLcats. I’ve seen the greatest kittens of our generation reduced to tired clichés by incompetent photography and poor typography. Frankly, we are sick of it, and it needs to stop….Now, that was simple, wasn’t it? Frankly, we as a species are somewhat disappointed that you needed this sort of guidance. But we will, as always, forgive you in return for a nice head rub and a big bowl of noms. Or perhaps a nice cheezburger.